Music has a way of smoothing its own path. Given the chance, our brains readily accommodate complexity that comes via the ears, so the unfolding of even quite convoluted material can swiftly assume an air of inevitability. 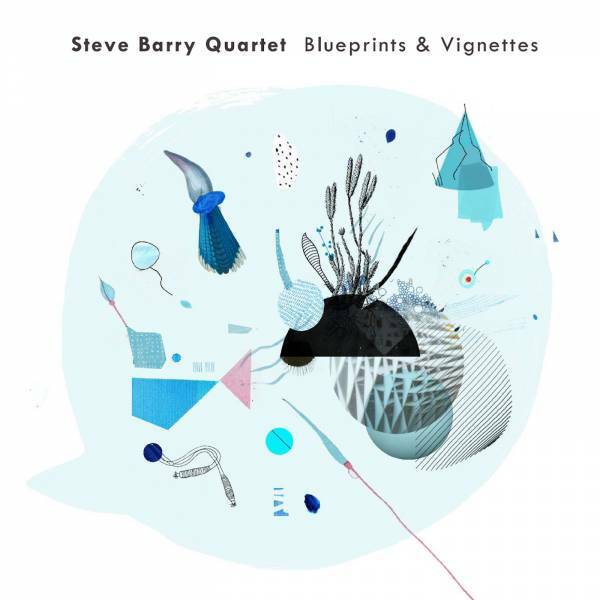 Of course relentless complexity may ultimately test powers of concentration, but pianist/composer Steve Barry is too savvy for that – and not, I suspect, because he is anticipating his listeners’ attention spans. It is more that his own interests are diverse, and so, besides carving out some challenging notated figures for his collaborators, he allows the music to unravel into pools of free improvisation in which mood and interaction predominate over any predetermined concepts. The album becomes a dialogue between the concrete and the abstract, and not always with the composed elements fulfilling the former role and the improvised the latter. Perhaps that is partly what makes it so gripping – that and the fact that Jeremy Rose (alto saxophone, bass clarinet), Max Alducca (bass) and Dave Goodman (drums) are attuned to Barry’s ever-more distinctive and often diaphanous ideas, and these ideas allow all four players to flourish as improvisers.